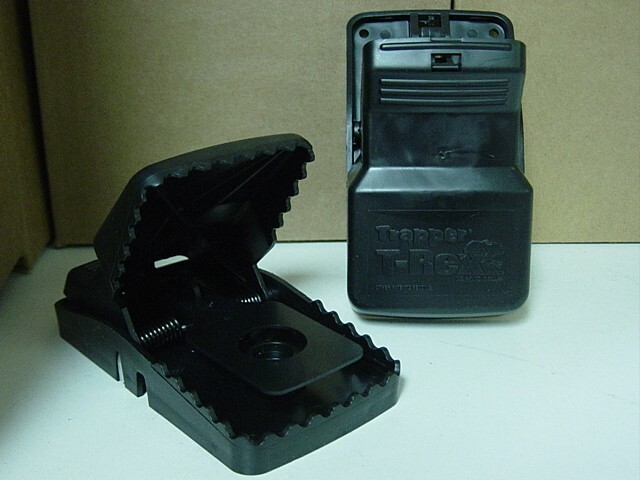 PRODUCT DESCRIPTION: This trap is one of the newer models of rat traps that we sell. 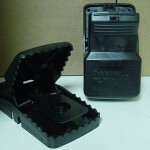 It is made of all plastic, it should be baited before you actually set this trap. This can be set very easily. Placed in the path where rats are known to travel, this trap will effectively control small populations of rats faster because it has a larger surface area on which the target animals are likely to walk. If you have a big infestation, other methods will have to be used as they become afraid of this design since it is smashing anything which comes close to it. When such noise and action happens over and over again, rats will learn to avoid the device. WHERE TO USE IT: In and around businesses and homes away from pets and children. Keep it out of the reach of children and pets. The spring is strong and may break fingers if they get caught. RATE OF APPLICATION: As many as needed. It is not unusual to install a dozen in areas where rodents are active. Add some Trappers Choice Loganberry Paste to lure the animals close for a quick kill. Set every 5-10 feet or more if needed.